Quad City DJ's is the music artist and producer duo of C.C. Lemonhead (Nathaniel Orange) and Jay Ski (Johnny McGowan), who produced the Miami bass hit "C'mon N' Ride It (The Train)" in 1995. Songfacts states the vocalist on C'mon N' Ride It (The Train)" was JeLana LaFleur, enjoying her 15 minutes of fame. The two first partnered in 1992 during high school in Jacksonville, Florida. They first were in a group known as Chill Deal. The two first partnered in 1992 during high school in Jacksonville, Florida. They first were in a group known as Chill Deal. 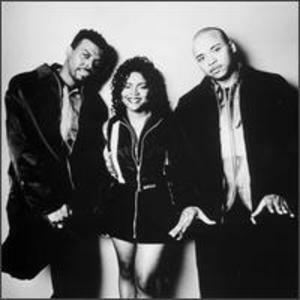 During this time they produced fellows acts Three Grand and Icy J, the latter being famous for the female answer rap to Rob Base's "It Takes Two" entitled "It Takes a Real Man". After Chill Deal dissolved, they reformed as 95 South create the triple platinum hit "Whoot (There It Is)". Their success led to work with Dis-n-Dat producing "Freak Me Baby" and 69 Boyz producing the double platinum single "Tootsee Roll". In 1995 the two formed Quad City DJ's and produced the single "C'Mon N' Ride It (The Train)" (based on a sample of Barry White's 1974 song "Theme from Together Brothers") and the following album Get on Up and Dance, a Top 40 hit. In 1996 the group contributed to the Space Jam soundtrack, including the theme song. "C'mon N' Ride It" was used in an episode of Bill Nye the Science Guy, but instead the lyrics went "C'mon use your brain, smell this." "C'mon N' Ride It" is a popular song for the WNBA team, the Seattle Storm, during the timeouts when kids pour down from the stands and create a congo line.